AutoZone, Inc. (AZO) is a retailer of after-market auto parts and accessories that are usually cheaper than the branded parts found at automobile dealers. AutoZone stock closed Friday, May 18, at $652.64, down 8.3% year to date and in correction territory at 18.2% below its 2018 high of $797.89 set on Jan. 19. The stock is also 10.5% above its 2018 low of $590.76 set on April 20. 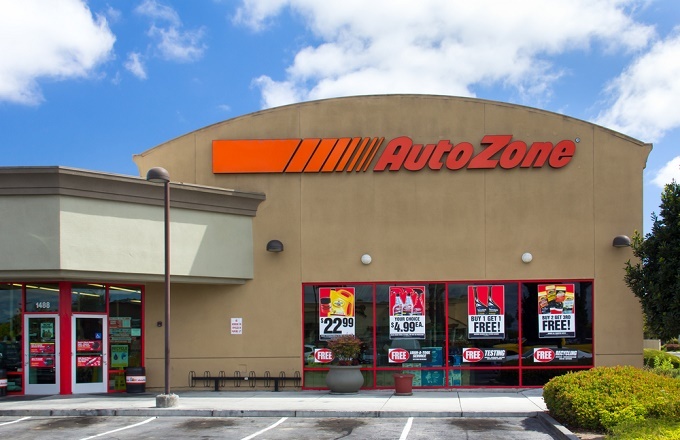 Analysts expect AutoZone to post earnings per share between $12.99 and $13.15 when it reports results before the opening bell on May 22. Over the past three months, the stock has been underperforming the auto parts industry, with competitors O’Reilly Automotive, Inc. (ORLY) up 9.9% and Advance Auto Parts Inc. (AAP) off less than 1%, while AZO shares lost 9.3% in the period. 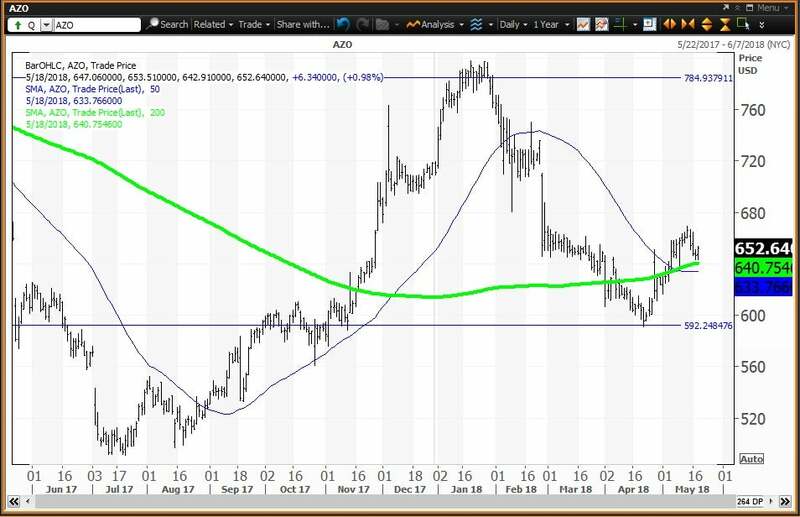 The daily chart for AutoZone shows that the stock is above its 200-day simple moving average of $640.75 after holding its quarterly value level of $592.05 on April 20, which is the horizontal line shown on the chart. My monthly risky level is the horizontal line well above the market at $785.03. 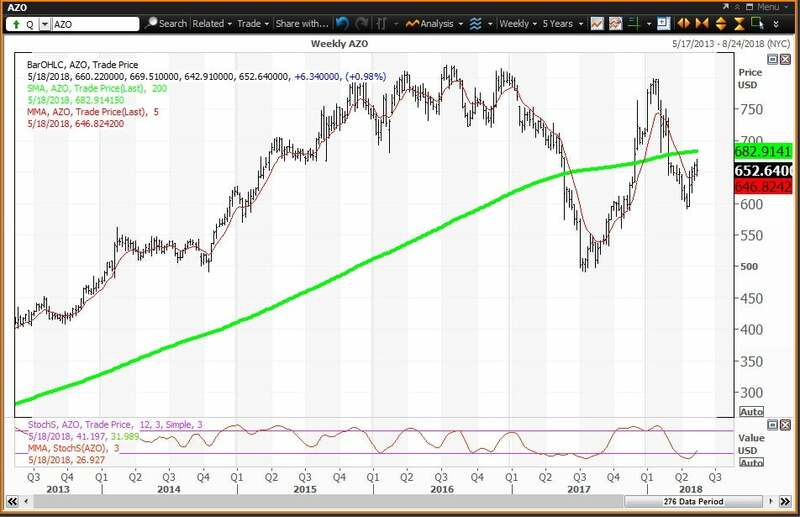 The weekly chart for AutoZone is positive, with the stock above its five-week modified moving average of $646.82, but it has been below its 200-week simple moving average at $682.91 since the week of March 2. This “reversion to the mean” is a price target on a positive reaction to earnings. The 12 x 3 x 3 weekly slow stochastic reading ended last week at 26.93, up from 19.79 on May 11, which is important as it is now rising above the oversold threshold of 20.00. At the January high, this reading was 91.79. Being above 90 on a scale of 0 to 100 is described as an “inflating parabolic bubble.” The bubble has popped, and the recovery is under way. 0 responses on "AutoZone Set for Positive Charts on Earnings Beat"